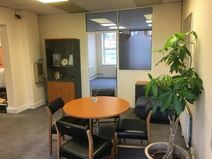 Opulently furnished, small offices with a sharp, well presented reception area and shared kitchen facilities in a newly refurbished modern building. The property is sited almost equidistant from Ponders End and Brimsdown rail stations and has a quiet setting near to a park. There are parking spaces available, great for commuters and local bus services operate nearby, further enhancing accessibility. 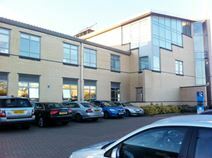 This centre is situated on a highly successful business park to the north east of Enfield Town Centre, within walking distance of the railway station. Offering office space and workshops to rent, with a full range of other business amenities. 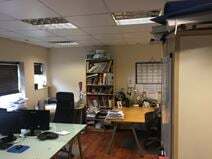 Comfortable and modern serviced offices in Enfield (unserviced also available) that range in size from 123 to 2,400 sq ft, suitable for between 2 and 15 workstations. The flexible units, which can be rented from as little as one day, benefit from an extensive range of services including Wi-Fi, onsite parking, 24 hour accessibility, conferencing facilities and virtual offices services. This modern office space boasts meeting rooms, conference facilities, with fully serviced office space designed to high specifications to provide you with a perfect setting to watch your business thrive. There is coworking spaces and hot desk facilities available, making it ideal for any business from a single entrepreneur to a well established, growing company. There is great networking opportunities available here and plenty in the surrounding areas for you to entertain your clients. With an abundance of pubs, shops, restaurants and other local amenities nearby, there's plenty to enjoy in your out of office activities. The space is easily accessed however your commute to work, with the M25 motorway just a 10 minute drive away and plenty of public transport routes nearby. The main Solar Way Bus Station is just 3 minutes' walk from the space and Enfield Lock Train Station can be reached in approximately 10 minutes, providing you with great access to the surrounding areas of London and beyond! The centre is just a two minute walk away from Enfield Town centre, where there are various shops, restaurants, bars and cafes, including Caffe Nero. There is 24-hour security, as well as office cleaning, IT support. conference facilities, meeting rooms and access to a kitchen. The railway station is also a very short walk form the centre, and connects the town by rail with London Liverpool Street. 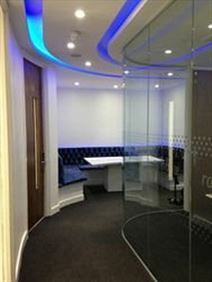 This office is set in a prestigious new development which is home to many world-class companies. This brand new centre has been built to the highest possible standard, and offers comfortable and modern office space to suit a variety of business types and sizes. This self-contained spacious and serviced office space is approximately 150 sq. ft. in size and is ideal for two or three people looking for a furnished office in Enfield town centre, just a two-minute walk from the station and with quick and easy access to a variety of local amenities. The business centre is accessible 24-hours a day, allowing for maximum flexibility, and offers a range of great on-site amenities.